A growing body of research suggests SEL skills are crucial for academic and life success. Students and teachers with strong SEL skills are able to work collaboratively and respectfully in diverse settings. Social and emotional learning helps teachers, administrators and parents create safe, positive and supportive learning environments for all students. Effective social and emotional learning programming promotes and improves students attitudes about themselves, their classmates and their education. Social and Emotional Learning promotes a positive and productive learning environment for all students, supporting emotional and social growth. 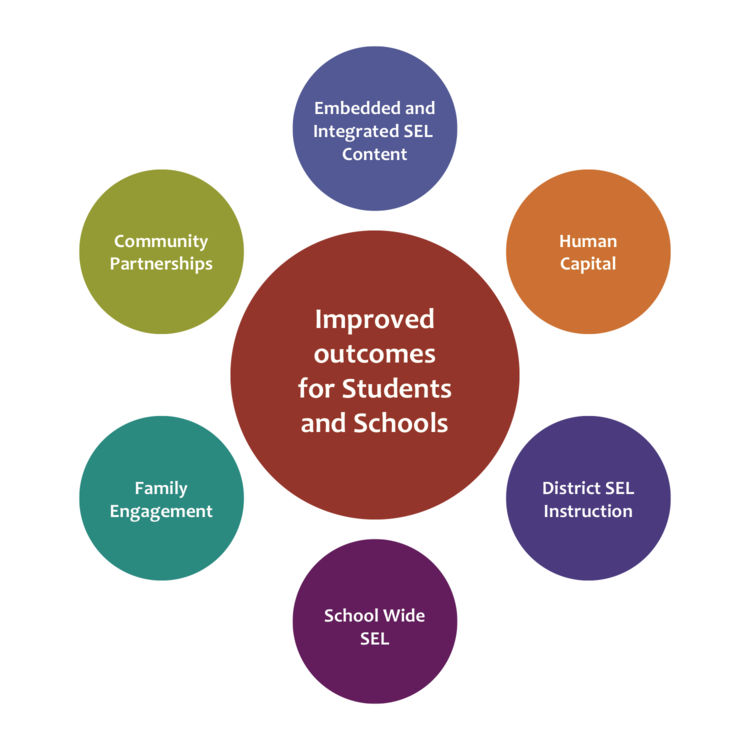 Students who participate in SEL programming have been shown to have improved academic achievement, improved emotional well-being, and graduate with important emotional intelligence skills that are increasingly valued by in the workplace and community in our increasingly collaborative and diverse world. Who should practice Social and Emotional Learning? Social and Emotional Learning begins with adults modeling positive behavior. To achieve a positive and supportive school environment, adults need to model SEL skills for their students. Educators who develop their SEL skills in tandem with their students reap the rewards of improved mental health and more effective instruction. Outside the classroom, adults who practice SEL behaviors are more productive and have better, more collaborative relationships with their colleagues. Even if you are using these three SEL practices for the first time, they can be effective. When they are carefully chosen, effectively facilitated, and thoughtfully debriefed they create a solid foundation of safety, consistency and joy in adult learning environments. Click here to the learn more about the Three Signature Practices in SEL.